Our general pest control service helps you get rid of hornets. We use a general pest control treatment that eliminates almost all common household pests with one treatment. And a part of that is removal of hornets and nests. Call Us To Remove A Nest! And Many, Many More Below!  Frontline Pest is a high quality pest control company that has been servicing DC Metro area for over a decade. We pride ourselves in our effective ant eliminating services, and our ability to meet the needs of our customers. This is usually only needed on the first treatment, but we will always treat the inside upon request with no extra charge. A good defense is a good offense. We provide a protective line that prevents pests from getting to your house at all. One treatment will kill mature bugs, two treatments kills the recently hatched eggs, and regular treatments prevent infestations. All our products provide high quality results that won’t effect pets and small children. Don’t hesitate to call with questions.